Highly Recommend Beauty easy and cheap. Highly Recommend Thank you so much seller for the fast delivery service. Highly recommend. Quick delivery and designs are cute. Haven't try yet though. Received items after quite a while due seller sent wrong items the first time. Anyway there is also wrong design for the second batch but accept it then. Items recvd. Seller was kind enuf to text infming item out of stock and help to change another set. Thbx seller. Ordered on 5th Feb but received on 20th Feb although seller claimed that they have sent out on 6th Feb. These items are meant to be given for company's event but unfortunately arrived too late. Seller also cancelled one of the item without checking whether we would like to replace with another design. Quite disappointed with their service especially when email address is stated on cart order. To re-order 1 item for postage of $0.90 is too expensive as the item's weight is so feather-like thin. Recived in gd condition . Hi Seller...I have just received message that you have cancelled one item in my order but upon checking your listing, I realised that you still have stocks. Is there any reason why you are cancelling my order? hi, dear buyer, sorry, becuase that design is out of stock, we try to sms you but no PH no. 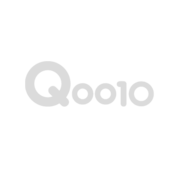 we cancelled and refunded at Q10. and sent rest already, sorry for the trouble. hi, dear, yes, Pls write "self collect at KB-1" into memo to us when you make the order. we will take 1~2 days for preparation, and SMS you once ready for collection. The shipping fee will be refunded by Cash Then, Thank you. we are sorry for the mess up, I will ask my packing colleague to what'sup u directly to confirm the design. Yr coding is confusing. All came wrong though the code u stated there is right. Example. MZJ 054. I TOT it should b the hello kitty. I ordered 10 designs. All the design is all I don like. I hope u do me an exchange n guide me to do a correct coding. I'm willing to pay for postage for exchange rather than I don wan to use the all 10 packs here which is not to my liking. [Re] Almost all stock I ordered wrong. Hi, may i know if the items have been mail out? Hope to receive them by this week. ok, can you inform me when the mail is posted out so i can look out for it? Hi, I have received the items last night, thank you for your reply. I have also confirm delivery when i received them so payment can be released to you. Many thanks & Happy Lunar New Year!